Hello again! It's been a busy week with all of the Polish Pickup content. Today I have the final Polish Pickup color to share with you all. Today's post features Scofflaw Nail Varnish Ugly Renaissance Baby Paintings. Notes: The shimmer has a beautiful color shift. I recommend checking out the swatch video below to see it in action. 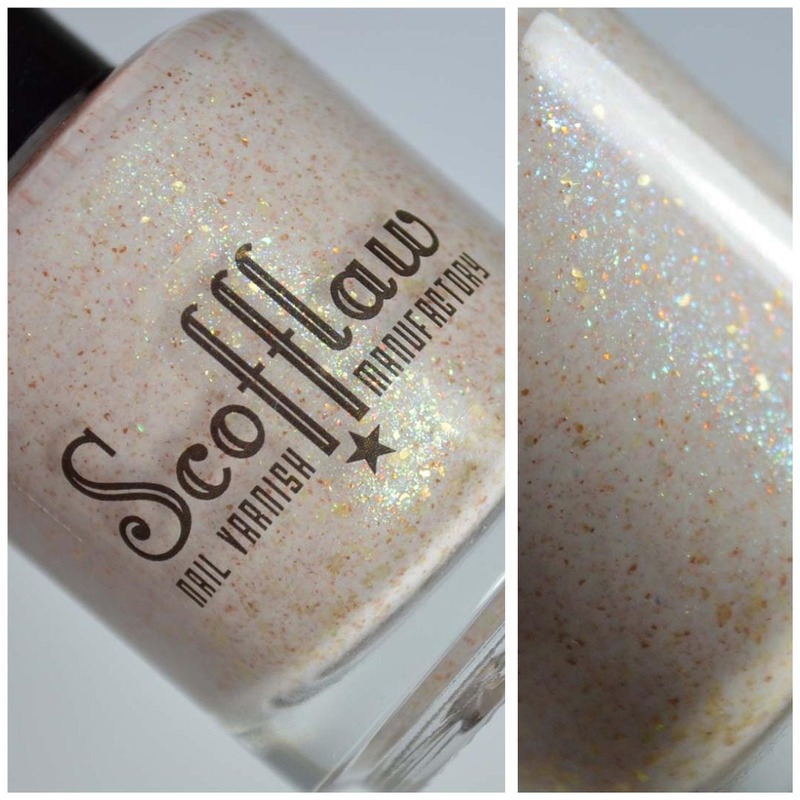 Scofflaw Nail Varnish Ugly Renaissance Baby Paintings will be available through the April Polish Pickup. The shop opens on Friday, April 5th and closes on Monday, April 8th. If you enjoyed this post you might like Scofflaw Nail Varnish The Spiders From Mars | Polish Pickup March 2019 and Scofflaw Nail Varnish Tiki Collection Pt 2.